(4/5)The Petsafe feeder with stainless steel bowl it’s on my list of reviews because it’s a good solution for cats with an allergic reaction to plastic. The Petsafe feeder station has a gravity food system with a removable-stainless steel bowl that is dishwasher safe. 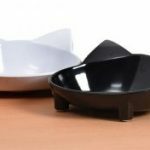 The steel bowl can be sanitized at high temperatures in your dishwasher to eliminate potential bacteria that can cause your cat harmful infections from germs, allergic skin reactions, and nose irritation. 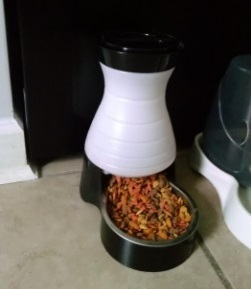 This unit saves you the effort of adjusting your schedule to be able to pour food on the cat’s bowl. The PetSafe Feeder is recommended to be used indoors only. This unit comes in two sizes, small and medium. To create a nice set, the feeder can be purchased together with the Pet water Station that matches in design and color. This is a gravity feeder which means it doesn’t require batteries or electricity to work, it uses gravity to dispense. You just need to fill the feeder with dry food and let the food drop down into the bowl. When you fill the feeder you will notice that the food will go straight to the bottom so the bowl will have plenty of food, this is normal. The Petsafe Gravity feeder is not a meal-by-meal dispenser. It is meant to be used by cats that don’t overeat because the bowl will be constantly filled to the top at all times. Occasionally you will need to shake the hopper a little bit to keep the food flowing into the bowl. Some units can be refilled from the top while others from the bottom, it’ll depend on the batch you buy. It’s the same feeder with different directions how to fill the unit, both ways work the same. To refill from the top make sure the bowl is attached to the hopper. Just untwist the lid to open the hopper to pour food into it, shake it a little and the unit is ready to go. To refill from the bottom you need to unscrew the bottom, flip the hopper, fill it with food, and screw the bowl back on with the hopper upside down and then flip it back to allow food to fill the bowl. WHAT ARE THE PROS AND CONS OF PETSAFE GRAVITY FEEDER? It has stainless removable steel bowl preventing allergic reactions on your cat. It doesn’t have control program to regulate the feeder from dropping food. You have to wait till the hopper is empty to remove the bowl to wash it. 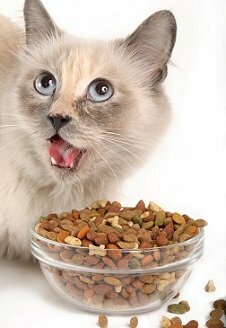 If you free-feed your cat or multiple cats and your only concern is not having to pour food every day to your cat’s plate. If your cat is allergic to plastic and you fit the first condition above. 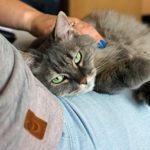 If you want to feed your cat with a schedule (one time p/day, 2 times, etc). If you want to make your cat lose weight. 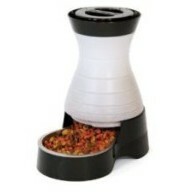 If you want to feed your cat fresh food every time (the food in this feeder is exposed for days). If you have ant problems at home. Cannot purchase this product with Amazon as they don’t deliver in Australia and cannot find a any other supplier who will. Are u able to assist? Hi Sandy, I checked Petsafe Australia website and they only sell the Petsafe 5-meal and the Petsafe 2-meal automatic pet feeders. Amazon does not ship this product, it is shipped by another supplier and that’s why you cannot get it to Australia. Maybe your best option is to contact Petsafe and ask how you can buy this feeder. Good luck Sandy!